The City Council has asked me to update every concerned resident about the future of our city. Our city is faced with severe economic realities and there are important decisions facing every Stanton citizen. What brought us to this situation? Last spring, the City Council was forced to declare a “fiscal emergency.” That declaration was necessary because politicians in Sacramento have taken our local taxpayer money to fund the state budget. The resulting shortage of funds has put Stanton at risk in order to compensate for severe budget deficits. • Sales tax revenues will be lower in 2012 than revenues produced nine years ago in 2002. • Sales tax has fallen $1.2 million (30%) since 2006-07. • Property tax revenues for 2012 will be lower than property tax revenues produced seven years ago in 2004. • Motor Vehicle License Fees have decreased 9.4% since 2007. • The City of Stanton receives less than 1% of the 8.75% sales tax percentage and only 11 cents out of every property tax dollar. This reduction in revenue has created a budget deficit of $2.8 million a year, estimated to grow until the City’s reserves are depleted in 2016. Faced with these realities the City Council has made drastic cuts to the budget that affect all of us. Since 2008, many good programs have been eliminated. • Closed two city parks and decreased park maintenance in all remaining parks. • Graffiti abatement and code enforcement have been reduced. • City funding for school crossing guards and afterschool programs have been eliminated. • City Hall is closed one day a week. • Police services have been cut. • Many Parks and Recreation programs no longer receive needed taxpayer money. The City Council has studied the economic realities and have concluded that the budget can not be downsized any further without risk to Stanton residents and their property. Your City Council has placed a measure on the June ballot to improve the financial situation. I can not ask you to vote “Yes” or “No” on this Measure, but I can tell you what it will do. If the June ballot measure is passed, an additional $1.2 Million will be generated to provide public safety and other vital city services. The choice for Stanton residents was never clearer. If we do not find an additional $1.2 million in revenues, the city faces bankruptcy and Stanton would become an unincorporated “island” of the County of Orange. This would likely result in fewer services, especially police, fire and paramedic services. If the measure fails, local businesses that provide jobs and boost our economy may find new cities where they believe their property and personnel will be safer. Even worse, new businesses planning on locating in Stanton and improving vacant industrial and retail property, may not re-locate here if they believe our town is not safe or its future is uncertain. I hope this information has been helpful in explaining the economic realties facing Stanton, what is being proposed to remedy some of the shortfalls, and the potential impact of continuing shortfalls. Please go to www.ci.stanton.ca.us where we have posted information about city revenues and expenses. 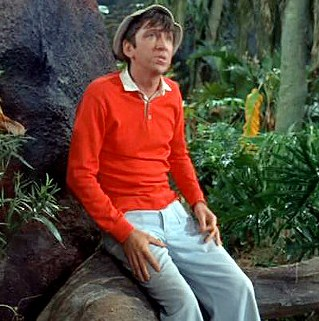 In other words vote for the tax increase or Stanton will join Gilligan and the Skipper on an island. In other words, Stanton would cease to exist and become a County island. I am not surprised to see public administrators advocating for this tax increase, but this is pretty brazen on their part to try to scare voters into increasing taxes. I will give them credit, this letter does not appear to violate any campaign laws due to careful wording. It pushes voters to vote for the increase without actually coming out and requesting a yes vote on the measure. This measure will likely face a lot of skepticism, as voters are very uneasy about tax increases in the current economy. It may at the end of the day pass, but this scare tactic employed by the city is a bit disappointing. This entry was posted on May 7, 2012 at 3:17 PM	and is filed under Stanton. You can follow any responses to this entry through the RSS 2.0 feed. You can leave a response, or trackback from your own site.